This 3-days intense workshop on GIS in Applied Ecology from 24.09.2018 to 27.09.2018 at the cosy Studenterhytta in Oslo has been offered by IRSAE members NINA and FEM. With full board provided and no other distraction than beautiful nature around, participants could fully focus on learning new techniques, applying them to their ongoing projects and networking with the others. Topic of the course is Advanced Geospatial Analysis with an emphasis on handling of Earth Observation and Time Series data using Free and Open Source Software. Based on a set of 29 course units (see below), final content for the 3 days event was tailored according to participants interest as well as prior knowledge and experience (it would take ~5 days to cover all course units). The course is kindly supported by IRSAE. Fig. 1 FOSS software overview (source). the software in any way. The source code is openly shared so that people are encouraged to voluntarily improve the design of the software. This is in contrast to proprietary software, where the software is under restrictive copyright and the source code is usually hidden from the users. See Free and open-source software article on Wikipedia for more information. In 2006 was founded OSGeo Foundation to support the collaborative development of open source geospatial software, and promote its widespread use. Projects should manage themselves, striving for consensus and encouraging participation from all contributors - from beginning users to advanced developers. Contributors are the scarce resource and successful projects court and encourage them. Projects are encouraged to adopt open standards and collaborate with other OSGeo projects. Projects are responsible for reviewing and controlling their code bases to insure the integrity of the open source baselines. This principles ensure that OSGeo projects are well established, stable, mature and sustainable. GRASS GIS (recommended version 7.4) for geospatial raster, imagery, and vector data processing and providing spatial analysis. QGIS desktop (recommended version 2.18) for geospatial visualization, creating hardcopy outputs, and data publishing. GDAL library for reading and writing various geospatial data. R statistical language for statistical analysis. sentinelsat library utility to search and download Copernicus Sentinel satellite images. pyModis Python based library to work with MODIS data. For purpose of this training materials a sample dataset has been created based on Open Data covering Studenterhytta venue region. See detailed description below. Download sample dataset as 7z archive (3.4GB, 3.8GB uncompressed). The simplest way how to follow this training. VirtualBox must be installed on your PC, enable also virtualization support in BIOS. See Virtualization Quickstart for details. A customized virtual machine (VM) below is based on OSGeoLive. 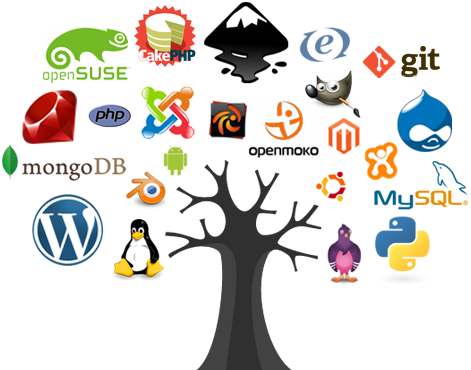 This VM contains all software dependecies including sample dataset in geodata directory. Download tailored virtual machine including sample dataset as 7z archive (10.2GB, 19GB uncompressed). Materials proudly provided by GISMentors training and mentoring group.